Great taste 2017. Dairy free. Spicy. 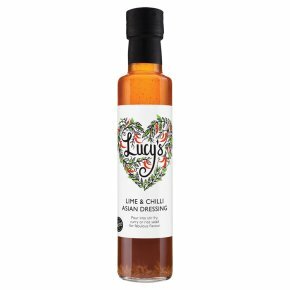 Get Creative Whether it's salad, veg or fish, our award-winningly versatile dressings will add a hint of deliciousness to almost any dish. Pour into stir fry, curry or rice salad for fabulous flavour Shake me up!